School Report: Do we get too much homework? It’s a big question for pupils, teachers and parents alike. Reality Check went to Sutton Community Academy in Nottinghamshire to try to find some answers, working with a group of School Reporters from Years 7 to 9. First of all, they interviewed each other to get some basic research. So does homework help pupils academically? But is there too much of it? But what do the experts say? It is quite a mixed picture. 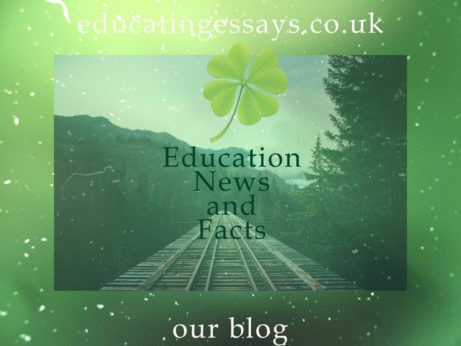 A big report for the Department for Education, published in 2014, concluded that students in Year 9 who spent between two and three hours on homework on an average week night were almost 10 times more likely to achieve five good GCSEs (A*-C) than students who did no homework at all. But where does the limit lie? When does too much homework become too stressful, and therefore counter-productive? It’s something students at Sutton Community Academy think about a lot. Until 2012 schools in England were given formal advice on how much homework should be set, but schools now have more flexibility to design systems to suit their own students. International comparisons confirm that there is no one-size-fits-all approach to educational success. 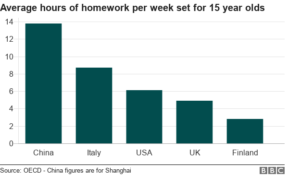 Analysis by the Programme for International Student Assessment (Pisa) suggests pupils in China are given the largest amount of homework, and they are among the highest achievers academically. 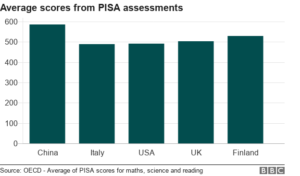 But while Italy also sets a relatively large amount of homework, its results – according to Pisa – don’t reflect the extra hours put in. In Finland, meanwhile, there is far less emphasis on testing and homework than in schools in the UK. And the Finns have one of the most successful education systems in the world. Other factors beyond the way a national education system is set up have to be taken into account. Every pupil is different, and works in different ways. Schools are of different standards. And of course the stability of home life plays a huge role in performance in general and in the ability of any pupil to complete their homework. Our conclusion at the Sutton Community Academy? Homework is important, it does make a difference, but there comes a point where handing out more and more won’t deliver better results. In other words, the work-life balance that worries so many parents is a big factor for pupils in schools too.